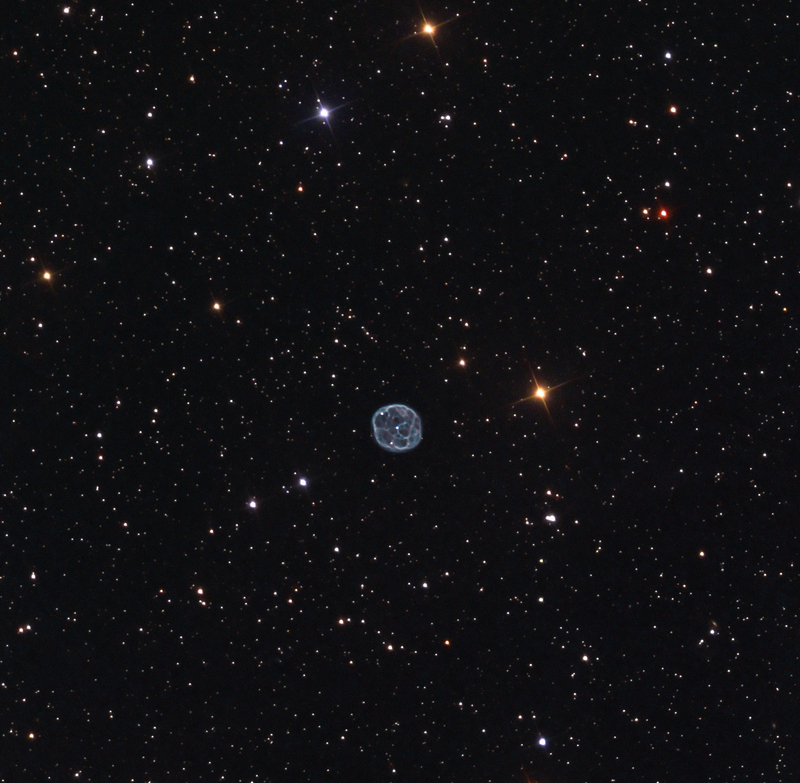 Abell 43 (PK36+17.1) is a planetary nebula in OPH located at RA 17hr 53m 32s and DEC +17d 53m 24s. It has a special type of central, pulsating star that is the subject of considerable research. PG 1159 stars are hydrogen-deficient post ABG-stars on their way to the white dwarf cooling sequence. However, a fraction of them shows small amounts of atmospheric hydrogen, and are referred to as hybrid PG 1159 stars, which is the case here.. Both types may be at the center of planetary nebula. where a nebula surrounds the star. A similar hybrid PG 1159 star exists in NGC 7094 (see my image here). It is particularly interesting that the nebular structure is similar in both Abell 43 and NGC 7094 with interlacing filaments. A side-by-side comparison is shown below.